If you are using groups to correct data errors (for example, to combine "CA" and "California") or to combine dimensions members (for example, to combine "East" and "West" regions), the easiest option is to select headers in the view. Press and hold the CTRL or Shift key on the keyboard to multi-select headers in the view. On a Mac, press and hold the Command key. 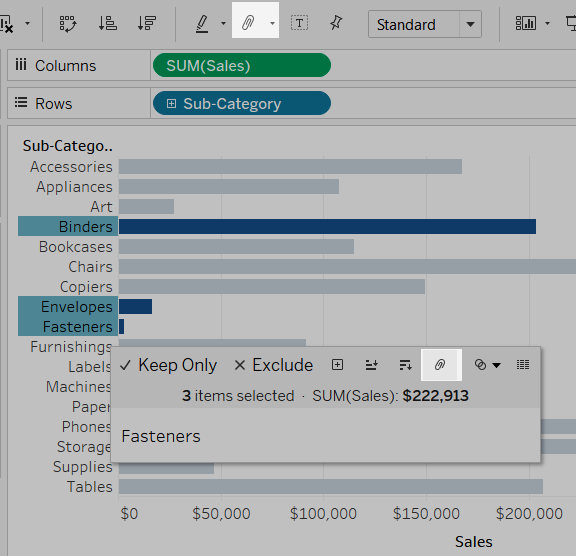 On Tableau Desktop, click the Group button on the toolbar, right-click and select Group or click the Group icon on the tooltip. On Tableau Server or Tableau Online, click the Group icon on the tooltip. The selected members are combined into a single member. In this example, the view now shows the SUM(Sales) across all binders, envelopes and fasteners as a single mark. A default is automatically constructed using the combined member names. 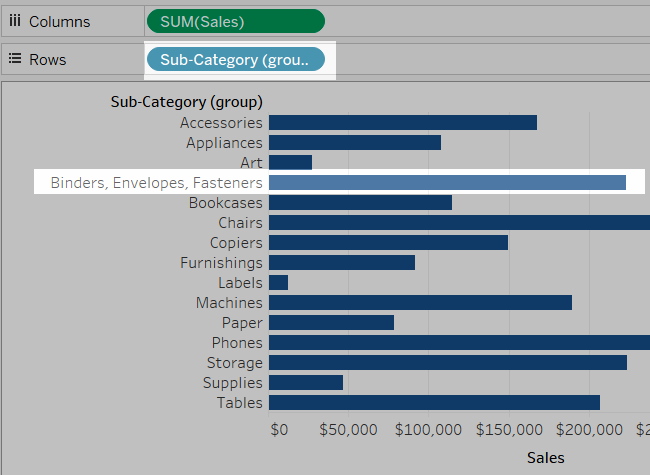 The dimension on the Rows or Columns shelf is replaced with the new grouped field.